The House achieved a major success last Friday for northeastern Kentucky when it passed House Bill 535, a legislative measure that gives certain tax incentives to AK Steel to reline the Amanda furnace and make it operational. This bill provides an additional incentive for the AK Steel Corporation to call back to work approximately 650 steel workers in our region. The bill is expected to pass the Senate. Rep. Kevin Sinnette, D-Ashland, sponsored the bill, and I joined in co-sponsorship along with Rep. Jill York, R-Grayson, and House Majority Leader Rocky Adkins, D-Sandy Hook. I also sponsored an amendment to Senate Bill 126 that provides a supplemental appropriation to the Judiciary Branch of $36.4 million in addition to the $26.5 million passed earlier by the House. This measure, which was also approved last Friday, passed on an 89-6 vote. The governor’s budget proposal would have caused massive layoffs and closed down the drug courts. The amendment I sponsored provides all of the funding necessary to keep the judicial branch operating, which should avert layoffs and keep the drug courts open. The bill heads to the Senate where it is expected to pass on April 12. When the Kentucky General Assembly met last Friday, it did so in its 59th day, and with just one day to spare in our 60-day session, efforts to reach a compromise on the state’s next two-year budget plan have stalled. House and Senate members of the conference committee met for many hours over several days, yet in the end, the House Majority drew the line at protecting public education, while the Senate continues to press the governor’s push to make deep cuts to the budgets of the state’s public colleges and universities. Still, the Senate dug in deep to the idea that public education should be cut at a time when it is simply not necessary. Kentucky continues to experience strong revenue growth, with more than $908 million in new money expected between now and the end of fiscal year 2018. In this fiscal year alone, budget experts are predicting we’ll end the year with a $222 million surplus. Further cuts to higher education translate into more tuition hikes. That’s a new tax on every working family in Kentucky trying to put their children through college. It also stalls our efforts to create more work-ready employees at a time when Kentucky’s business community is demanding more high-skilled workers. In an unprecedented move, Gov. Bevin has already acted on his own to cut the current year budget of every public university and college in the state. Administrators learned just this Thursday that they must immediately cut their budgets by 4.5 percent effective April 1. The bottom line is that there is state money available to both strongly support our pension systems for retired teachers and state employees, while still investing in Kentucky’s families, and their economic future, by protecting public education from these deep and unnecessary cuts. The House Majority stands ready to negotiate with Senate leadership when they decide to put Kentucky’s teachers, children and workers above the governor’s own short-sighted plan. Hope springs eternal, and I continue to be committed to adopting a sound, fiscally responsible budget that doesn’t shortchange our retirees or our colleges and universities. With all the attention to budget negotiations, work continues on the House floor, with a number of bills being passed that are now on their way to the governor’s office for his signature. On Tuesday, the House gave final passage to legislation that would allow child day cares to receive prescriptions for EpiPen while also giving parents more time to legally surrender their newborn under the state’s safe harbor law. House Bill 148, sponsored by Rep. Linda Belcher of Shepherdsville, was expanded by the Senate to include safe harbor provisions, while also retaining the bill’s original provisions to allow day cares to receive prescriptions for EpiPen, an epinephrine auto-injector used to treat life-threatening allergies, for emergency situations. The “safe harbor” provisions of House Bill 148 would amend Kentucky’s Safe Infants Act by giving parents up to 30 days instead of the current three to legally give up their newborn at a state-approved safe place if the parent feels they cannot keep the child. Safe places include fire stations, hospitals, police stations and EMS personnel. Places of worship would be added to the list under House Bill 148, which was passed as amended by the House on a 99-0 vote. We also gave final passage Tuesday to House Bill 111, a measure which would require the state to waive snow days that school districts are unable to make up. The bill, also sponsored by Rep. Belcher, started as a measure to require public schools to post the state’s child abuse hotline number. It was amended to also include snow day provisions. School districts impacted by snow or other school calendar-altering events are required to work with the state to meet all 1,062 required annual instructional hours, if at all possible, by June 5. If the district attempts to meet all required hours and cannot, the state would be obligated under House Bill 111 to waive any hours that remain. Additionally, we gave final approval to House Bill 132, sponsored by Rep. Gerald Watkins of Paducah, which would allow an individual to sue a website or publication that charges a fee to have their mugshot removed. Currently, the practice of posting photos taken from a local jail’s website and charging a fee is legal. A Senate amendment to the bill would grant jail sentencing credits to those charged with a misdemeanor for receiving a GED or high school degree or for good behavior while incarcerated in a county jail. The House concurred with the amendment and the legislation now heads to the governor. 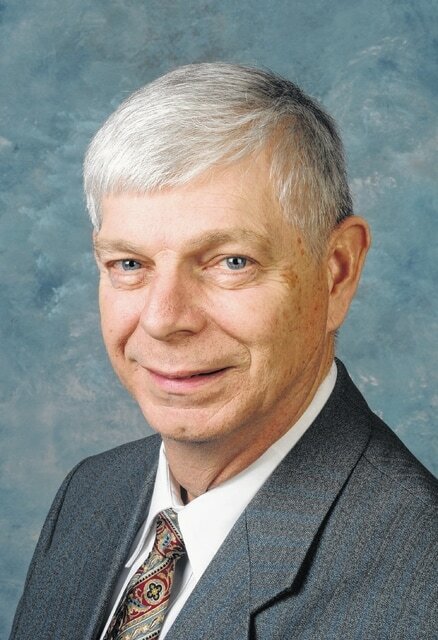 Legislation that would allow government and private entities to enter into different public-private partnerships to fund Kentucky’s major infrastructure needs has also received final approval. House Bill 309, sponsored by Rep. Leslie Combs of Pikeville and Majority Caucus Chair Sannie Overly of Paris, would provide a framework for the use of public-private partnerships, or P3s, as an alternative financing method for major public projects, including transportation projects. The bill, which passed on an 86-8 vote, would also specifically prohibit tolls for “any project involving the federal interstate highway system that connects the Commonwealth with the State of Ohio,” including the proposed $2.6 billion Brent Spence Bridge project in Northern Kentucky. Also, after years of debate, the House gave final approval Friday to legislation that would provide a second chance to those who have been charged with certain non-violent felonies. House Bill 40, sponsored by state Rep. Darryl Owens, would allow eligible offenders to request a court to vacate and expunge their criminal records after completing their sentences and waiting five years. The legislation would not apply to felons convicted of violent crimes or sexual offenses. Additionally, the bill includes provisions that would allow prosecutors to respond on behalf of crime victims and for a judge to make the final decision on expungement. The bill — endorsed by the Kentucky Chamber of Commerce, the Kentucky Council of Churches and the Catholic Conference of Kentucky — would ease barriers for those seeking to re-enter the workforce. I’ll have more to report in my last and final update from this 2016 session of the Kentucky General Assembly after we recess today for a period of several days before returning to give final approval to several other legislative measures on April 12th. During that time, the House Majority members of the budget conference committee will continue to work toward an agreement with their Senate colleagues to adopt our next two-year spending plan. If a budget agreement is not achieved before we are required by law to adjourn, I would not support returning to a special session, and spending additional taxpayer money, until an agreement on a final budget was reached prior to our return. During my time as a representative thus far, I have greatly appreciated the emails and phone calls I have received from my constituents in the 98th House District. I hope if you have additional questions or concerns that you will contact me by emailing lew.nicholls@lrc.ky.gov or by calling the Legislative Message Line toll-free at 1-800-372-7181. I will continue to represent the people of Greenup and part of Boyd counties to the very best of my ability and look forward to hearing from you soon.